DOES YOUR CHILD NEED EXTRA LESSONS? 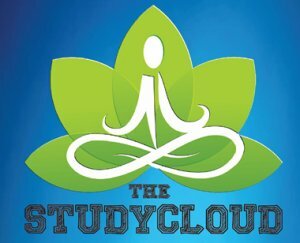 The Study Cloud is an online tool for students ranging from Grades R to 12. It contains everything from the current school syllabus as well as step by step guides, tutorials, online tests to track your child’s progress and also includes a wide variety of past year national exams. The Study Cloud is intended for use as extra tuition to give your child the help that they need to succeed. With The Study Cloud your child can study anytime, anywhere – The Study Cloud is completely compatible with all Smartphones, Tablets and Computers. •Study each subject in their grade through comprehensive interactive lessons. •Have the ability to make notes as you study as well as reference the important sections for later use. •Interact with objects to better understand the activities. •When done Studying, your child can take an E-Test which will immediately calculate their marks and teach them how to get the answers correctly the next time with a full explanation. •Full reporting facilities are available for you to monitor your child’s progress. •Group learning is a crucial part of your child’s development. With online forums and profile matching, students of similar grade, subject and interests are grouped should they need to do group activities. •Should your child need to ask for help, they can do so on our forums where they will be assisted by one of the many teachers online.